Due to a new ruling by the FCC we now have free open access to the internet via the Net Neutrality Rules. The Open Internet Oder, as it is called, ensures that the internet services providers are now a neutral path to the internet and can no longer treat different types of traffic differently and charging different costs. Are You Ready for Net Neutrality? This policy replaces a previous version that came out in 2010 but was halted by a legal battle brought by Verizon. This legal action meant that the FCC had to find a way to reclassify broadband to enable better regulatory controls. As with any news like this there were people cheering the decision as well as criticizing it. According to NPR.org, the ACLU was cheering. And the group, Broadband for America, was criticizing. Those are the facts and opinions, but the real question everyone wants to know is how will this affect me, the consumer? The real answer to that question will come later after this policy is up and fully running, however, the main difference in theory will be that anything you do on the internet; be it video streaming, posting on social media sites, etc., will now be treated equally by the Internet Service Providers (ISPs). 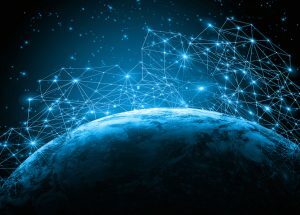 This is also seen as a positive step for entrepreneurs and startups as it should give them easier access to broadband networks without interference from those pesky ISPs. Although how smoothly this will all work is yet to be seen. In theory, most of us shouldn’t really notice much of a difference since a lot of what this policy does is regulate the ISPs and they are the ones that will feel the impact of all this. Some people worry that this policy will have a negative effect on competition between the ISPs which might lead to some dropping out of the game altogether. The fear there is that we would eventually end up with another “Ma Bell” type of monopoly. But, again, this is all speculation and we will all just continue on with our normal lives and let the ISP giants deal with sorting it all out. There likely will be some lawsuits that come out of this, similar to the one brought on by Verizon back in 2010 when a first draft of this policy attempted to go through because this is something ISPs don’t care for since it will ultimately affect their bottom line. Reading “How #NetNeutrality Affects You, Me and Everyone Else” via @AdviceGroup! What do you think? The reality is that I think we are in for a bit of a wait until this all works out and gets into full implementation. In the meantime, it is at least reassuring that the FCC is considering policies like this one as we make our way into the ever-changing landscape of new technologies. It’s important to note that net neutrality is the reason we have Facebook and not AOL / Yahoo! profiles. What started with Yahoo! and AOL went through revisions like instant messengers (MSN, ICQ, AOL, and Yahoo!) to ‘social media sites’ that started with Friendster and MySpace and eventually morphed into the Facebook we have today. Net Neutrality is also the reason that a competitor can easily rise and challenge Facebook on an equal footing forcing them to be better in the future. As I’ve pointed out to others without Net Neutrality we might not have had Google either as Yahoo!, AOL, and MSN could have easily cornered the internet search market place with their ISP deals or their own ISP networks. Such as when Yahoo! partnered with SBC then ATT for internet or when AOL was a dominate ISP. The internet would be a drastically different, less innovative, and less profitable place for us marketers without net neutrality and a few massive corporations would control far more of the web than they do today. Joe, all great insights. Thank you so much for sharing your additional thoughts with us that are very important points.